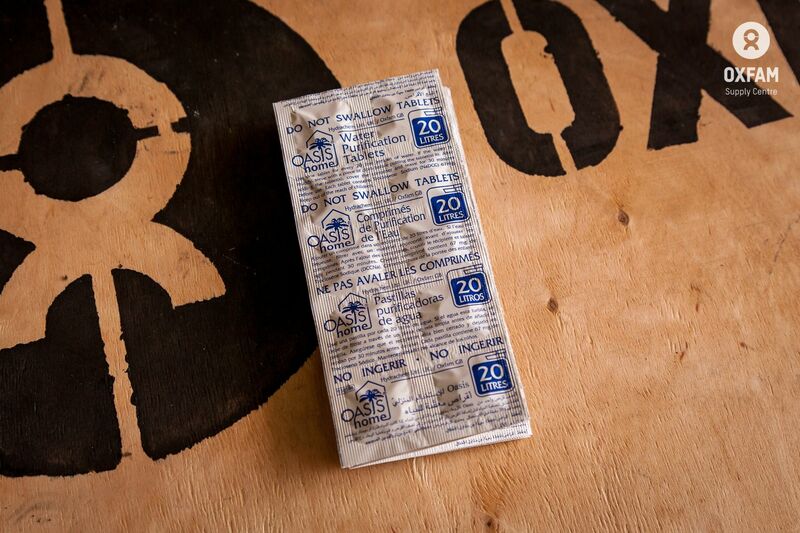 Box of 25,000 tablets to enable water disinfection at the household level in first phase emergencies. Use one tablet for every 20 litre container, or 14 litre Oxfam Jerry Bucket of water. After adding the tablet, cover the container and leave for 30 minutes before use. Experience has shown that the success of all distributed household water level filter and chemical options is highly dependant on the level of demonstration, training, and ongoing monitoring that is given. A newly introduced method or technology is likely to be less successful than a known and familiar one. 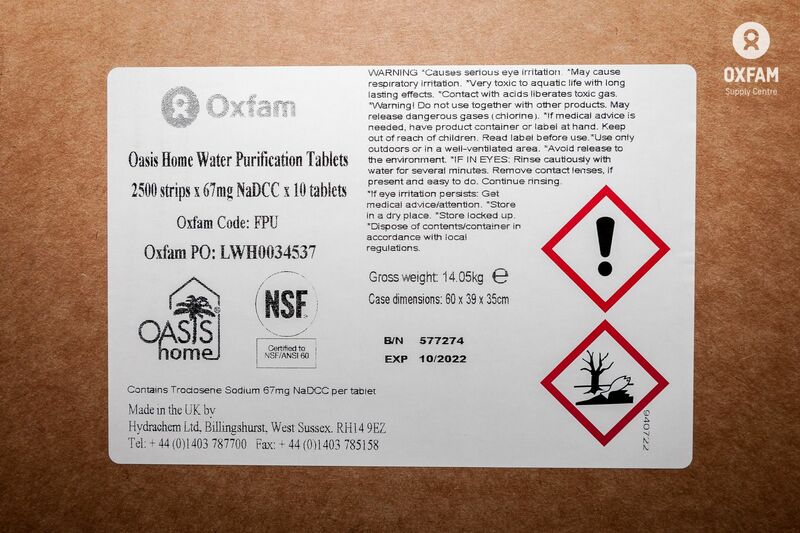 Oxfam advocates the using of this size of tablet as water containers are invariably a source of secondary contamination and water collected by beneficiaries may not be used immediately. For effective disinfection, the water should be less than 10 NTU. Dosage will vary depending on water turbidity. If the water is turbid it should be allowed to settle then carefully poured into another container before adding the tablet. Where flocculation is also required use combined treatment sachets.